Andrew and I don't buy into Valentine's Day too much but, it does come very close to our falling in love anniversary. He asked me to be his on February 12th, and since it's soooo close to the 14th we just combine the two holidays together! This year I wanted to make something cute to hang on our tree for our falling in love day! 1) Gather your supplies. I used hemp (if you're like me and Daisy found your roll of hemp it looks like this now), clothespins, Mod Podge, thick paper, valentine's inspired fabric, scissors, and a pencil. 2) Sketch and cut out your letters. 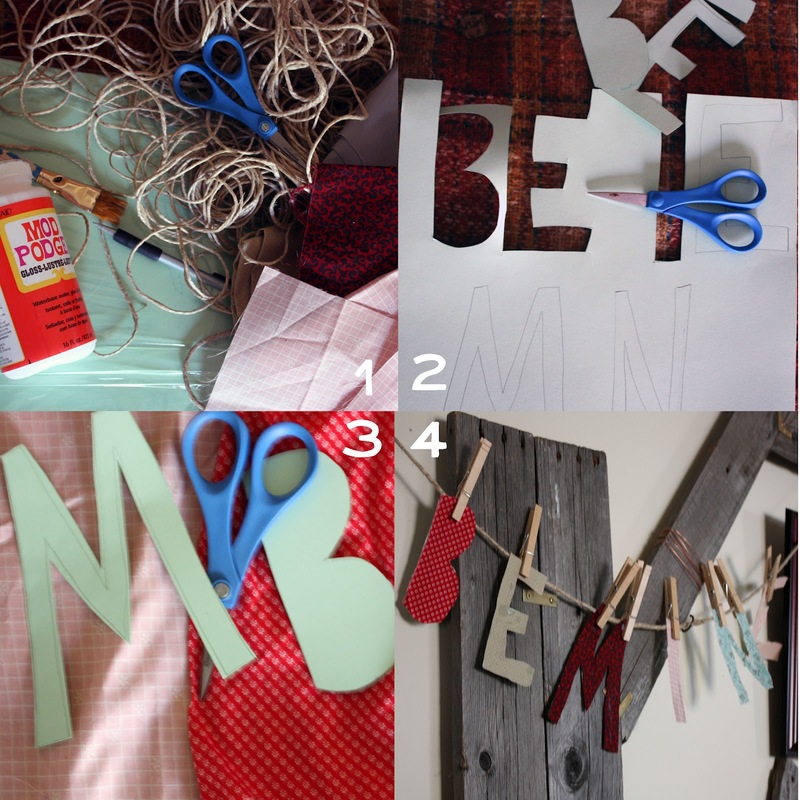 3) Pick your fabric for each letter and cut it out. Then use your Mod Podge to glue the fabric to the paper letter. 4) String it up in a cute place! I can't wait to surprise Andrew with this when he comes home. Happy garland making! Such a cute idea and great use for fabric scraps!